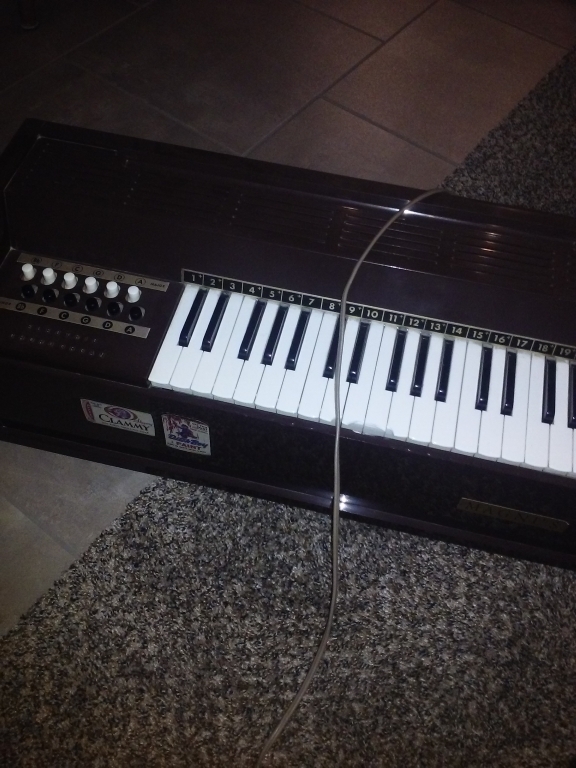 I got this electric chord organ from someone who was just gonna throw it out. Still works great and it's fun to play around on, so I used it for a short improv this week, with some heavy editing obviously. Been having fun with the Halloween season this year, so wanted to make a song that fit that mood. Wow, Love the atmosphere on this. Haunting. Great find on the organ! Nice find, it sounds like there's maybe a ghost in there, but really only just the one. [quote=Bleeoop]Wow, Love the atmosphere on this. Haunting. Great find on the organ! [/quote] [quote=Gab Manette]Chilling! Good stuff for saving that organ, was worth it :D[/quote] [quote=Devieus]Nice find, it sounds like there's maybe a ghost in there, but really only just the one. [/quote] [quote=kaedo sevaada][img]https://media.giphy.com/media/B07OqkSxZykU/giphy.gif[/img] spoooooky! :)[/quote] Thanks for listening guys!